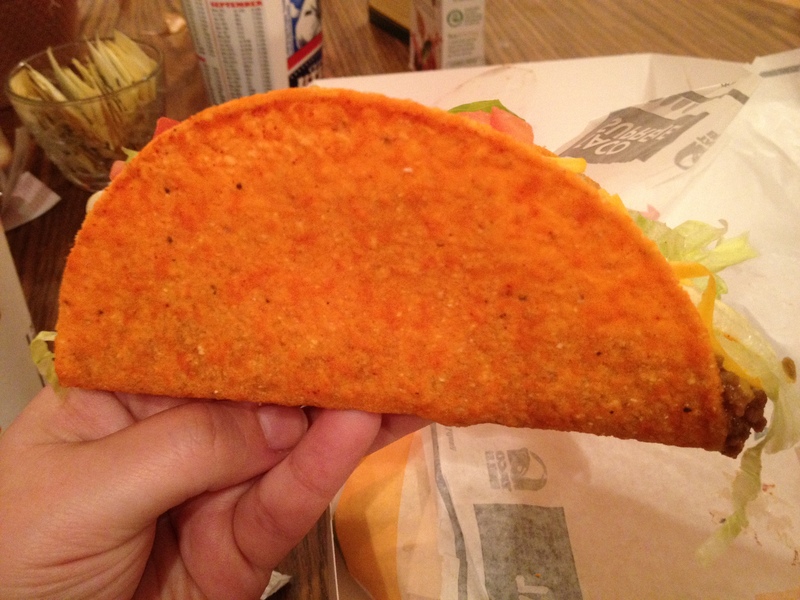 Taco Bell Doritos Locos Taco: Ole! | DidjaEat? 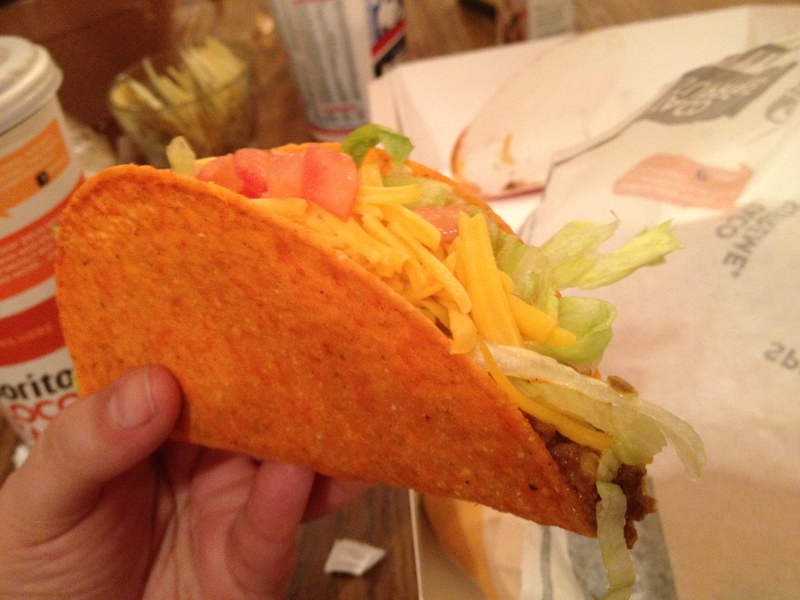 Posted on April 21, 2012, in fast food, junk food, mexican food and tagged corn chips, dinner, dorito, doritos locos taco, fast food, food, lettuce tomato, mexican food, taco bell, taco shell, taco supreme. Bookmark the permalink. 2 Comments. As a non dorito fan, I’ll stick to the volcano burrito, or the chicken quesadilla. 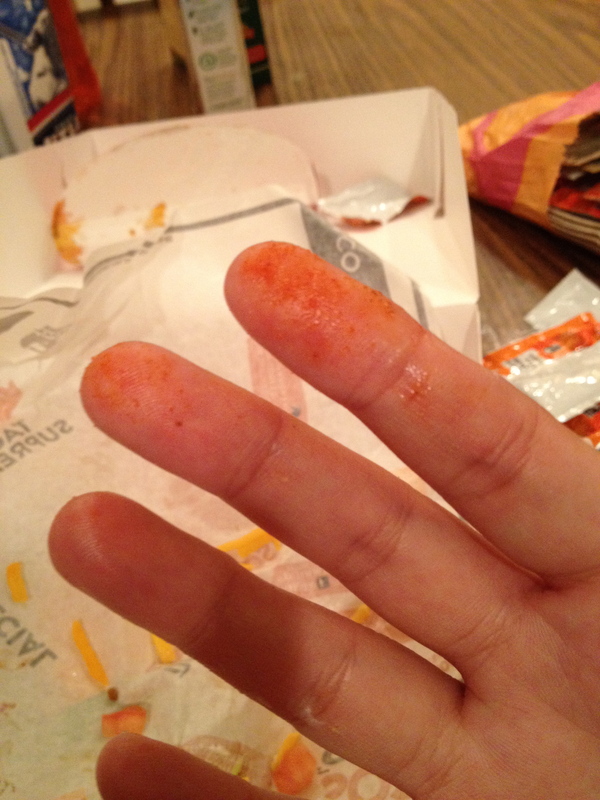 Also, Taco Bell needs to make the fire sauce hotter! The fire sauce does need to be hotter! I think they are afraid to get to that real heat. They should step up!